Corpus Christi Garage Door Repair offers residential and commercial repairs and installation services in Corpus Christi, Rockport, Aransas Pass, Port Aransas and all the surrounding areas. Unfortunately, the only time that most people think about their overhead garage doors, is when they come across Murphy’s Third Law, which states that, “If anything can go wrong, it will.” We’ve had many customers reach out to us with an emergency—they discover that they can’t get into or out of them due to an inoperable overhead door, so they can call our team. We will solve the issue and make sure your door is safe and fully functioning before we leave. Additionally, if it has suffered minor damage and a replacement of parts is required, all you need is to call us and we will do the replacement and installation as soon as possible. We are dedicated to bringing the best quality, service, advice and discounted garage door prices to residents and businesses in the Corpus Christi area. Our team is proud to service the best rolling doors, insulated, non-insulated, heavy duty doors, hurricane-ready, and high wind-load doors in the industry. Thanks to our team of dedicated technicians, you can depend on us for all of your residential garage door repair needs when it comes to fixing your home’s overhead doors. When it isn't working right, it's not just a hassle. It can actually be unsafe, which is why you really need to rely on our experienced professionals to get the job done quickly and efficiently. We offer same-day and emergency service, fix garage spring and other urgent issues and promise speed. 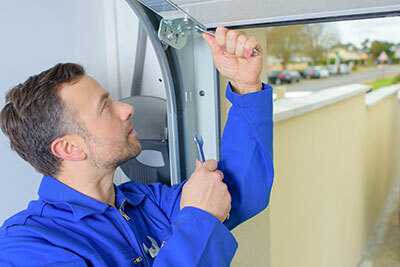 We have been servicing garage systems for years and we understand how important it is for our customers to have good contractors by their side to count on. We understand that when it comes to home repairs, people will often try to repair their garage doors on their own in an effort to save money. Our team highly recommends that you contact one of our trained specialists to come and take a look at the issue, because there are many parts that need to be inspected, repaired or replaced. It is important you leave the repairs to one of our professionals so that no potential other problems arise. We want to make sure your home is safe and you can access and function them without any issues. If you are having issues with your residential garage door we will be at your home in no time. If you find yourself with a hinge or another component that is beyond repair, you can be sure that it will be replaced with top quality repair parts. We know how the right job can make all the difference in giving you a hassle-free door, which is why we are always committed to doing the best work. ​Our team can perform residential repairs on a variety of issues including roller replacement, broken spring replacement, garage opener repair, cable replacement, sensor replacement, track repair and replacement, and general maintenance tune-ups. We will come to your home and help you find the problem and resolve the issue in an efficient and timely manner, so that you can get on with your busy day. We specialize in residential installations. 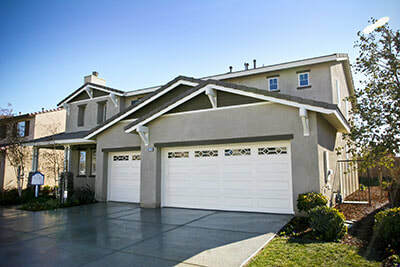 If your current garage door is old and rusty, or if it is decreasing the curb appeal of your home, you can change this. Our professional and trained installers will provide you a trouble-free, safe installation. We work and install doors that are proven to be long lasting. What we can advise you is: choose wisely the company you hire to install your new garage door. We know how important having a working door is to your peace of mind, which is why we pride ourselves on our installation services. We install them in new construction homes, as well as replacement doors on older residential homes. We’ll install the new door, with all new tracks and hardware. Then, we haul away the existing door, along with the track and old hardware. We’re ensure that your new door reconnects properly with your opener, and we’ll do our best to color-match to the style of your home. Once you decide to purchase a new residential garage door, you’ll quickly discover that there are many options that you must decide upon. You’ll need to decide if you want a sectional or roller door or if it should slide across the opening or roll up. You can also choose the type of material that you want including wood or metal, and then the next choice is color. We can install everything from wood doors, metal doors, steel doors, in addition to hurricane resistant garage doors. Our staff is committed to very competitive pricing and service you can rely on. With so many choices, it is often faster and easier to get in touch with one of our professionals to help you to narrow down your new door installation options. When installing them in your home, safety is our primary objective followed by customer satisfaction. We understand that garage door installation is not something most of our customers look forward to doing. It’s a huge task; lifting that heavy one into place and properly connecting it to all necessary accessories like rollers, springs, opener unit, cables, sensors and tracks. Why attempt at doing this yourself when a fast, safe, and very affordable alternative is available? Make life easier with a simple call to our team to schedule installation service at a time convenient to you. ​Our repair solutions for commercial properties are customized to meet your needs. Commercial garage door openers operate the largest and most diverse sized equipment with high frequency. We pride ourselves to lead the field in experience and efficiency, and always choose the highest quality solutions for each of our customer’s commercial locations. 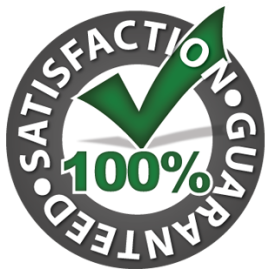 Nothing is more important than the safety & reliability of the equipment we service. If your commercial garage door isn’t operating correctly, our expert team of technicians can quickly restore it back to functionality. Our service team is available around the clock for emergency repairs. We also offer preventative maintenance programs to keep your doors operating properly. We repair a wide variety of brands and different models as well as create custom solutions to meet your needs. It’s our goal to ensure that your day-to-day business operations continue to run smoothly, so we can provide you with same-day service if needed. We understand that when a customer, employee, or colleague drives to your Corpus Christi business, the odds are that one of the first things they will see is your garage. We can’t emphasize enough how important appearance and functionality are regarding the first impression of your business. A professional, aesthetically attractive, and well-functioning overhead door will impact the impression that your business operates under the same principals, as an efficient, well-oiled machine. When it comes to repairs, the most common cause of door malfunction is the garage springs located at both sides of your door. Garage door springs tend to wear and tear as time passes by and it is important to have one of our professionals replace them immediately at the first signs of wear. In order to do so, the commercial garage door must be completely open to minimize tension and the springs must be replaced one at a time. Our team has always been viewed as an industry leader in the area, offering our customers incredible commercial garage door repair services and other professional services. You can put your mind at ease knowing that our specialists always take every safety precaution to guarantee that the repair process goes effortlessly and without any issues. It’s important to understand that a smartly chosen garage door is an investment that not only protects your commercial property, but also highlights the aesthetic appeal of your property’s exterior. Any business can benefit from a combination of functionality, sturdiness, and style—and we utilize our professional experience to help determine which door best compliments your company’s aesthetic. When it comes to commercial installation, an average commercial door weighs well over 400 pounds. Whenever we install a new one, we first carefully remove the old doors. Our technicians are properly trained to remove many different kinds of commercial garage door by meticulously detaching the door from the pulley system, then taking apart every one of the panels of the door and unscrewing the tracks until the old one is totally taken out. After the door is removed, then our installation technicians will start installing the brand new door. 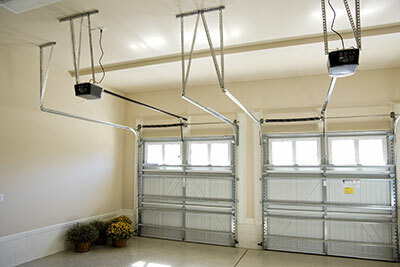 It does require time to effectively install the garage door to make sure it is safe and performing properly. With years of experience in the industry throughout the Corpus Christi area, we have install thousands of doors each year for local businesses. While we can install and deliver commercial service to your doors, it’s our dedication to quality, consistency, and reliability that makes us stand out. 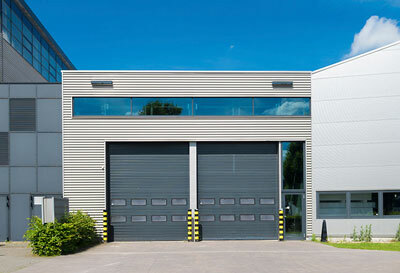 Our team has a large collection of commercial doors to fit any business. We offer rolling service doors that ensure your project specifications will be met with ease and style. We also provide sectional steel and insulated steel doors that include panel profiles, gauges, track styles and hardware. Typically sectional doors, unlike rolling doors, are usually made with plastic panels or sections that resist rust and denting. These are also lighter in weight and won't put a strain on your garage door opener, which many of our commercial customers favor. 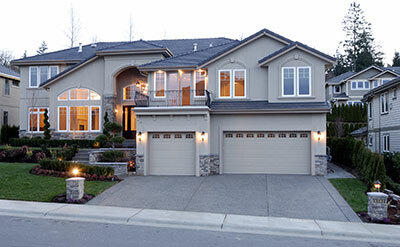 ​If you’re ready to talk to one of our experts about finding the right garage door for your business, call us today.